Ever wondered how medical practitioners identify abnormalities that are inside the body? Unless there are accompanied by overt symptoms, many conditions go undiagnosed. If you have cancer, for example, you are most likely to get a diagnosis when the disease has already progressed. Making better diagnosis: medical imaging allows practitioners to understand complications inside your body and consequently helps them make better informed decisions. The upside of medical imaging is that it is not invasive, is painless, and often does not require special preparations. Medical imaging literally saves lives. If you have any cancer, it can easily be detected using imaging technologies. Your physician can easily examine the internal structure of your body such as internal organs, blood vessels, joints, muscles, and tendons. An ultrasound, which is also referred to as a Sonogram is an imaging technology that allows viewing of the internal body structure and is utilized in examining pregnancies. Undertaking complicated surgeries: medical imaging technologies have given rise to surgical machines used in major surgeries, cardiology, traumatology, orthopaedics, and vascular surgeries. Intra-operative imaging and X-ray images with high resolution are used to monitor the progress of surgery in real time. Reducing health care costs: medical imaging allows doctors to make decisions based on observable facts rather than relying on information from the patient or other secondary source. Medical imaging helps doctors avoid conducting exploratory surgeries or catheterizations hence considerably reducing costs. Improving safety and effectiveness: improving technologies have also led to a reduction in radiation dosage for making medical diagnosis. The significant improvements made by physicians in making accurate diagnoses have also reduced patient exposure to radiation. Additionally, accessories and apparel made to protect you from radiation have been considerably improved. Your exposure to radiation is minimal if you undergo some form of medical imaging as a result effective management. Guaranteeing data privacy and creating an ecosystem for file sharing: Many of the hospitals and clinics are very insular and have little capacity to share patient files. 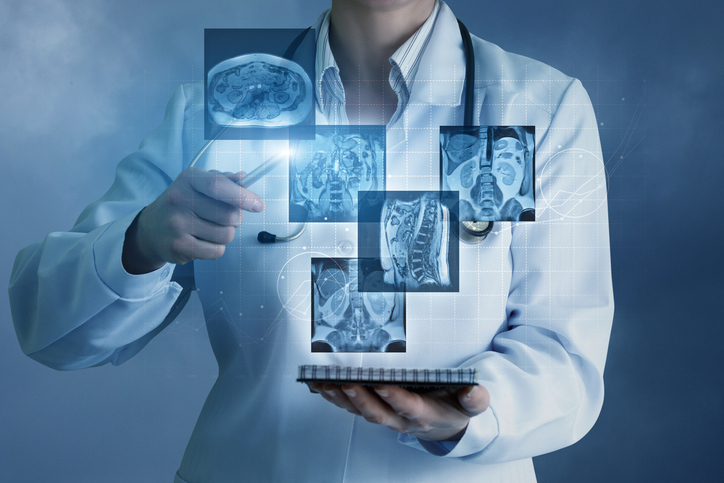 Improving technologies have made it easier for your physician to share your digital imaging files with other medical experts. These digital versions can also be easily saved in the cloud. The ability to easily access digital images reduces imaging duplication and decreases the number of times that you may be exposed to radiation. Sharing of digital files also reduces the risk that your medical data is illegally accessed. The numerous improvements made to technology have made it easy for you to get an early diagnosis of any condition you may have. This is significant and early diagnosis coupled with non-invasive and accurate treatments ultimately improve your outcomes.